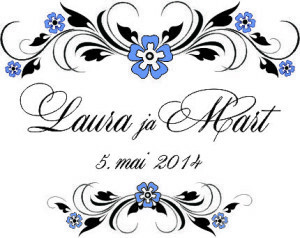 Wedding monogram is a kind of Your family “logo”, which is very suitable for use also on wedding candles. 1. 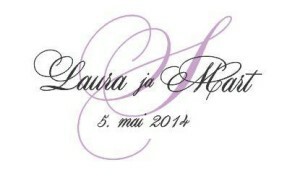 Monogram which consists of the first letters of first names of bride and groom. 2. Monogram which consists of three letters – the first letters of first names of bride and groom + the first letter of their new mutual family name. 3. Monogram which consists of the whole first names of bride and groom + the first letter of their new mutual family name. Date of the wedding will be added. 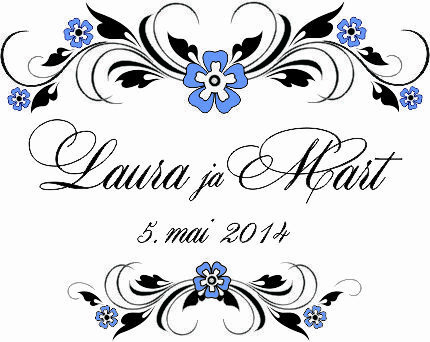 Main color of the wedding can be used to design the monogram. It’s possible to use pearls and crystals in the heart of the blossom (and also elsewhere).